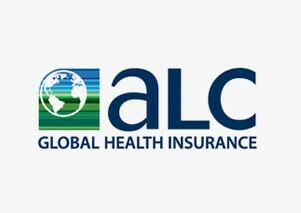 For over 15 years, ALC Health has been looking after and protecting the health of individuals, their families and international companies across the world with a range of flexible and innovative international health insurance plans that reflect the lifestyle of today's expatriate international traveller and global citizen. Their wide range of comprehensive and flexible health insurance plans mean you can tailor your benefits according to your requirements and your budget, and their easy application process allows you to be covered instantly. Their plans can include coverage for chronic conditions, complementary medical treatment, dental and vision ALC Health reflects the diversity and uniqueness of their clients, combining a wide range of language skills with an extensive knowledge of regional cultures and the protection their clients need. Their highly skilled claims team has handled cases in over 140 countries during the last decade. They appreciate that no two individuals or organisations are the same, which is why we take a more personal approach for each and every one of their clients.